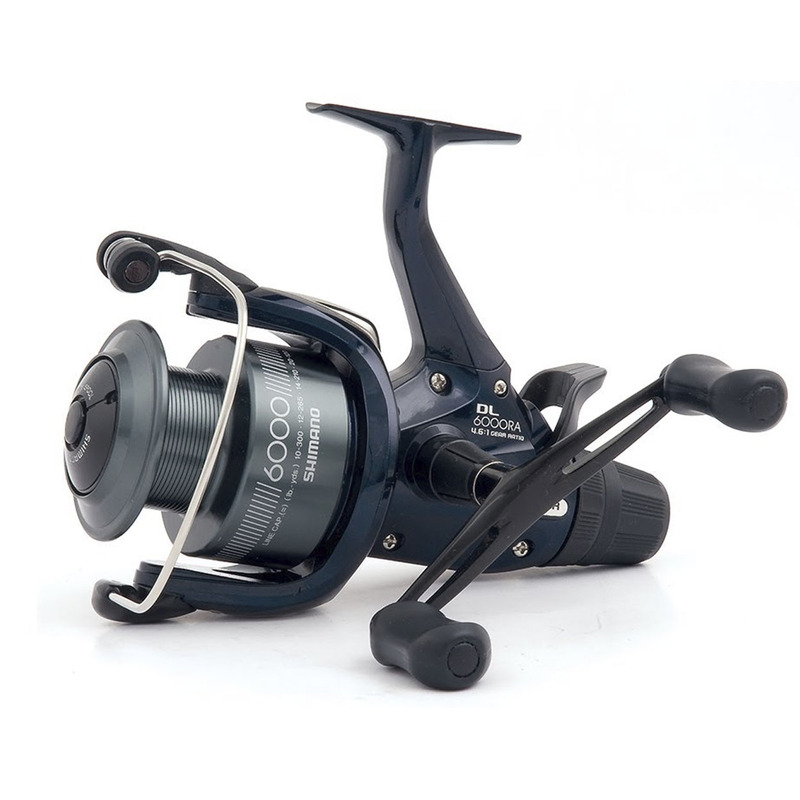 With its midnight blue body and gun metal grey Cold Forged Aluminium main spool, the Baitrunner DL comes with a spare XT7 graphite spool as standard. Both have prodigious line capacities � 430 yards of 12lb on the 10000 and 300 yards of 10lb on the 6000 � and are powered by a Diecast Drive Gear backed by 3 Shielded Stainless Steel bearings plus a roller bearing for assured performance. Other features include Super Stopper II, Dyna-Balance, Floating Shaft II and a Power Roller to minimise line twist. The 6000 size is a favourite of specialist anglers fishing for barbel, tench, chub and bream whilst the 1000 size suits carp anglers fishing both large and small waters. The Baitrunner DL offers an excellent quality to cost ratio for carp and specialist anglers looking for a mid-priced Baitrunner.